We enjoy exploring streets and alleys of European villages. 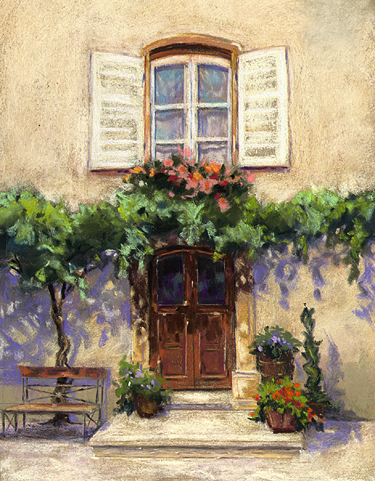 This home in France caught my eve with the dappled light streaming through the wisteria. 16 x 20.